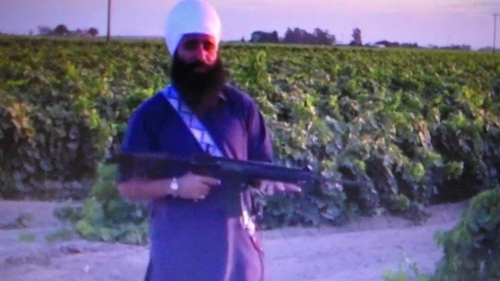 Some may not have understood the parts of Jagraj Singh's video where he spoke in Punjabi but he was very cavalier about the whole idea of anybody just going out and buying a gun and he further implies that Sikhs should get an assault rifle with a magazine larger than 10 rounds by picturing it in the video. https://www.youtube.com/watch?v=pvQitBXj0BM&list=TLTt1INj_6q-ZHGYrWBRIgsadrbyQuIUIA These are both illegal in California. He doesn't treat the weapon safely or with respect when he waves it around with his finger always on the trigger nor does he encourage Sikhs to get professional training before buying a firearm. I think his video is reckless and he should take it down and redo it with someone who has proper knowledge before someone acts out his recklessness on the firing range or in the public or gets arrested for having an illegal assault rifle with a 30 round magazine in California. Maybe Jagraj Singh was trained by the British Army but it is clear to me & other firearms experts that have viewed his video that Jagraj Singh didn't learn the correct way to handle firearms. In fact, his actions are just down right reckless and dangerous putting himself and others at risk! 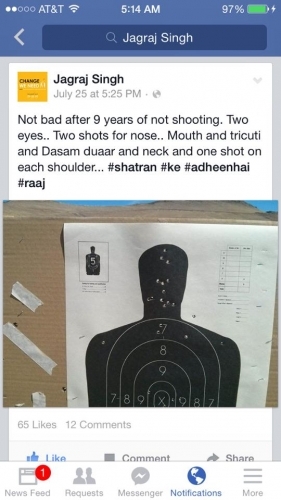 Jagraj Singh would be kicked off any official firing range in the US immediately for having his finger on the trigger while waving around a rifle as he is doing in the video. After seeing Jagraj Singh's nonchalant handling of the assault rifle in the video, I really question the circumstances around his discharge from the British Army. Sikhs should ask Jagraj Singh to elaborate on how he came to leave the British Army or post his paperwork which shows he was honorably discharged from the Army. I'd also like to see documents that show if he received any commendations for marksmanship or anything else for that matter while he was in the British Army. Safety and correct handling of firearms is very important because if Sikhs do not learn the proper way to use firearms then I'd rather they not have them at all! Are the comments & actions of Jagraj Singh of Everythings 13 - Basics of Sikhi﻿ arrogant & unbecoming of a Gursikh?